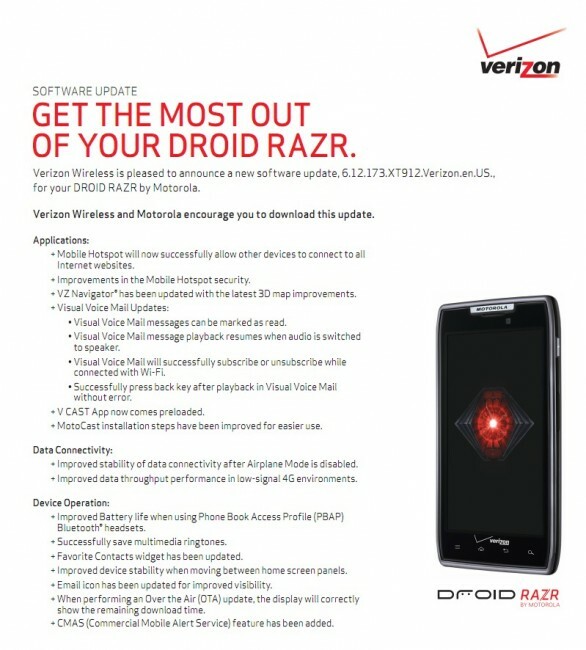 The 6.12.173 update for the DROID RAZR that we posted up back on January 23 is now official and ready to roll out to handsets. 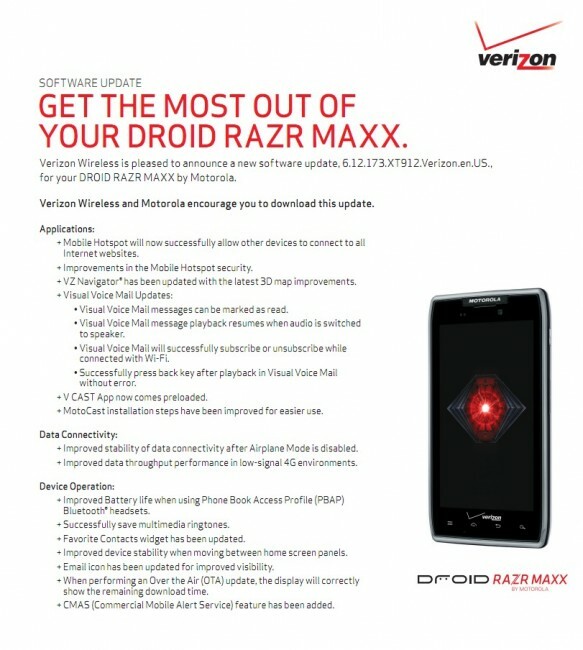 Actually, the same software is also rolling out to the RAZR MAXX. We wrote about the fact that both phones would run identical software and that you could potentially install 6.12.173 to either device without any hiccups, so it’s nice to see this confirmed by Verizon. From the changelog we have included up top, you can see that there are a number of performance and stability enhancements introduced with this update. Moto and Verizon also tossed in an update to Visual Voicemail, Mobile Hotspot, and MotoCast. A slightly tweaked and more polished UI is included as well, even if this document doesn’t mention it. Since we have flashed the software already, you will have to trust us on that one. You can either wait for the update to appear on your device or manually install using these instructions. The update is 151MB in size.